Like many of you, I have always dreamed of a long lasting GoPro battery. I’m always complaining about my batteries running out really fast even-though sometimes I barely use the camera. Keeping your camera ON, having the integrated display or an LCD BacPac will drain your battery faster than you might have thought. A bandage fix for this issue is buying few extra batteries. I like the aftermarket brands Wasabi and Smatree since they are way much cheaper than the GoPro ones and they deliver the same power and lasting time. As I said earlier, the extra batteries can be a bandage fix. You can easily swap them if you’re always next to your camera. But this can be a little annoying if you’re shooting something really important and then you suddenly discover that your battery is dying. Sometimes I want to take a night lapse outside the house, so I have to leave the camera shooting for at least 7 hours and sometimes in wet conditions. Normal batteries can’t do that unfortunately, I then found Brunton All Day Battery and I instantly knew it was the solution to my problem. As I mentioned earlier, I was looking for something that lasts for hours without the need to swap batteries 3 times per day. Brunton did a very good job at designing this battery. From my personal experience, the Brunton does perform what it claims, the last time I fixed my camera outside to shoot a night lapse, it lasted around 9 hours. I honestly didn’t expect to have this performance because many aftermarkets brands claim that their batteries are the best and can last for hours but then later they fail the test. Brands that are honest with their customers gain their trust and this was the case with Brunton and why I liked this brand. The Brunton All Day 2.0 is a lithium polymer battery with 5000mAh of power, normal batteries are at 1160mAh. The company claims that the battery lasts 5.5 times longer than normal batteries. From my personal experience, the battery can last up to 4.5 – 5 times. It is waterproof down to 40meters! It attaches to the back of your GoPro replacing the backdoor and comes with the same rubber seal the backdoor has to prevent water from reaching the camera. I personally never went into deep water with the Brunton as I mostly use it outdoors during trips where charging is hard or when I’m taking time lapses. I have heard some stories saying that the Bunton can leak water from the seals if it goes deep underwater. I have never used it in deep waters, just took some videos at 0.5m and didn’t encounter any problem so I cannot really confirm if the above is true but also heard many positive feedback that the camera sustained deep dives at around 30meters. I think that we need to make sure the battery is well sealed with the camera so water doesn’t go in. I’m sure people who had the issue didn’t double check this. The battery connects to the camera using a small thin micro USB cable, this cable is fragile so use it with care to prevent damaging it. The camera comes with two cables just in case one gets damaged. It has a side access door for charging, power button and microUSB. It can even provide output power to charge your phone at the same time, so it’s like a power bank that attaches to the back of your GoPro that you can also take underwater. If you want a long lasting GoPro battery then The Brunton All Day 2.0 GoPro power supply is your best choice. it’s a great replacement of normal batteries and it’s compatible with GoPro Hero3, 3+, 4Silver and Black. It’s great for traveling and can be used under wet conditions and lasts the whole day or night. I couldn’t find anything similar in the market, which makes it a top choice for people who are looking for these specifications. I’m personally very happy with this product and would recommend it for GoPro users. Hi George, looks like Bruton stopped manufacturing these batteries. You can try the Re-fuel battery as an alternative, it’s good quality and lasts around 6 hours. It’s only compatible with Hero3/3+ and Hero4. If you have a Hero5 or Hero6, you might want to look at the DECADE extended battery pack. I use one for my Hero5 and it’s amazing, it comes with a waterproof case for underwater use. I really love the power bank feature. It sounds extremely useful especially for tours in more wild places. Thanks a lot for your review! Hi David, indeed the Brunton all day 2.0 is great for tours since you will be out shooting with your GoPro the whole day. It’s also waterproof so you don’t have to worry about rain or wet places. Hi James, it actually does fit on the GoPro. I have 2 Brunton batteries and they fit perfectly. This 2.0 model fits on Hero3/3+ and Hero4 silver and black models. Which GoPro do you have? Another review by you, smashing! I’ve been looking everywhere for the right batteries but most of the ones sold around my area are dirt cheap, it made me wonder if its the real thing or a fake one. I guess we have to spend in order to get quality product but on the plus side, the water resistant feature is pretty cool though. Definitely getting myself one of these, cheers! Hey Riaz, exactly! there are many cheap batteries in the market that don’t deliver the expected performance. 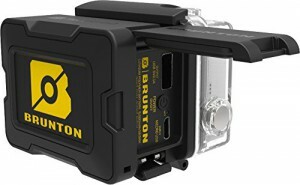 I personally couldn’t compare the Brunton All Day 2.0 to any of the other long lasting GoPro batteries I found the market. Also swapping batteries every 1.5-2 hours is not really the best idea specially if you’re planning to shoot for a long period of time. 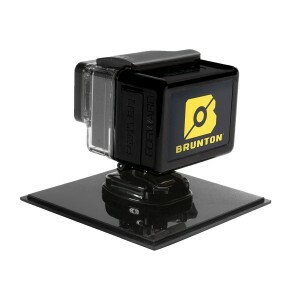 The brunton gives me around 8-9 hours and the GoPro battery 2 hours, that’s 10-11 hours of continuous shooting. This battery is one of the best GoPro accessories that I have. I really was thinking about a battery for GoPro. It really isn’t enough sometimes and other variants were a must. It also looks lke a nuke shell. Glad that someone tought about GoPro batteries. Being water proof down to 40 meters is a good plus. Maybe not everyone dives to 40 meters but for scuba enthusiasts it’s a wonderful feature. Hey Tyler! I think the Brunton All Day really fills the gap when talking about the short life of GoPro batteries. It’s extremely useful on long trips as I don’t have to worry about charging it every 2 hours. I love photography, and whilst i have an everyday camers – i also own a professional camers Cannon D70 ( yep its an old model – but works damn well 🙂 ) – So i have a question and forgive my naivity! – but would i be able to use the Brunton All Day battery for this camera? Hey there Roxy! I love photography too, it’s my passion since I was a little child. Unfortunately the Brunton all day 2.0 battery is only compatible with GoPro cameras, it’s not designed to be used on other types of cameras. I’m sure you can find long lasting batteries for your Canon D70. Have a nice day! This seems like a great choice for the new battery that I need. My current one goes dead rather quickly. You have a great price on the battery! I’ll be purchasing very soon. Oh, this is a great battery and what a great price! I think it would be great for my long beach trips 😀 I will bookmark this and come back when I am ready to purchase. Thanks for the honest review!